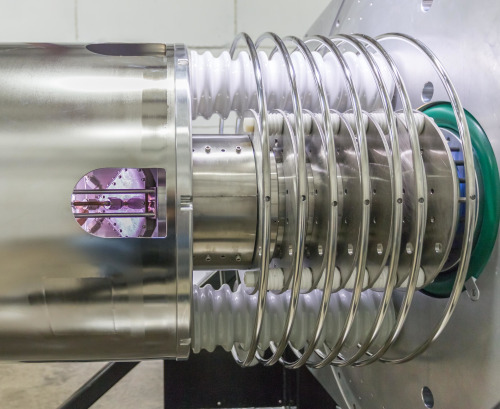 Rayton Solar aims to bridge the gap between particle accelerator technology and solar energy production to create a revolutionary silicon cutting technique (Image courtesy of Phoenix Nuclear Laboratories). Image courtesy of Phoenix Nuclear Laboratories. This move marks the next step in the company’s strategy to bring the lowest cost solar panel manufacturing process to market. Rayton Solar aims to bridge the gap between particle accelerator technology and solar energy production to create a revolutionary silicon cutting technique. This technique has the potential to reduce solar panel manufacturing costs by upwards of 60% compared to industry standards, says the company, while making them 25% more efficient. Rayton Solar see this breakthrough process as representing a paradigm shift in the solar industry. Silicon is the most expensive component of a solar panel. The industry standard manufacturing process uses 400 microns of silicon per wafer. Conventional wafers are 200 microns thick and the process wastes another 200 microns of raw material to sawdust. Rayton Solar’s process seeks to solve this problem by using a particle accelerator to implant silicon ingots and exfoliate a thin, 3 micron strata of silicon directly off the ingot. A substrate is attached to the silicon strata and it is removed with zero cutting waste [kerf free]. The substrate acts as a back reflector and conductor. 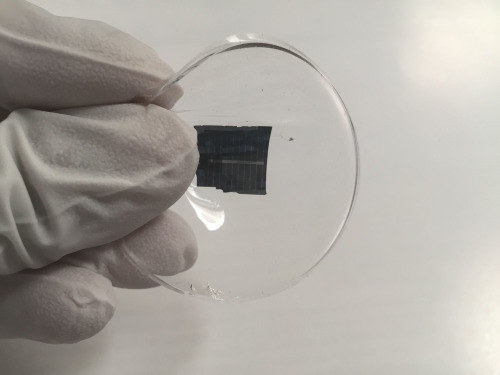 Rayton Solar’s technique yields a 3-micron thick wafer with zero waste. By using very small quantities of silicon, Rayton Solar is able to take advantage of float-zone silicon – the highest grade of silicon available today – in its manufacturing process. To date, says the company, no other manufacturer has been able to economically utilize float-zone silicon in the production of solar panels. As a result, Rayton Solar has the capacity to develop 24% efficient solar panels, a significant improvement over the current 19% high-level cell efficiency rate. The increase in efficiency has the potential to result in a 25% reduction in balance of system costs (installation, racking, maintenance costs, etc.). This method has the potential to increase efficient adoption of solar panels and dramatically decrease the cost of energy for utility, commercial, and residential use. Information on the campaign is available here.